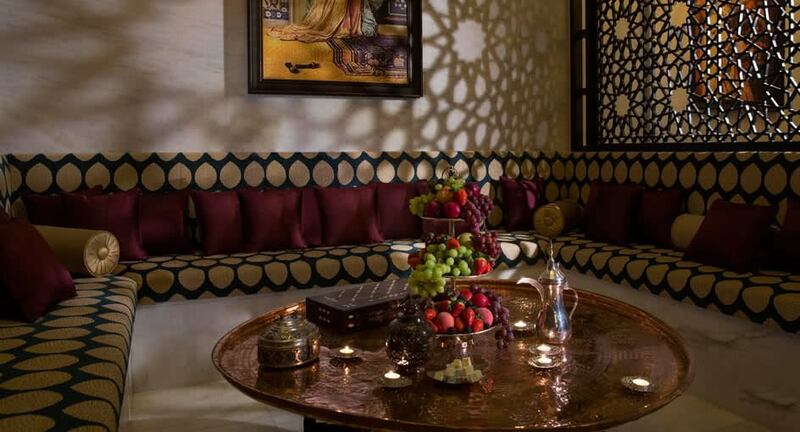 Find the ritualistic bliss of a Turkish hammam in Dubai. Turkish bath houses, or hammams, have been a crucial part of Ottoman culture for centuries. Unwind in the most luxurious of manners, choosing from an array of rituals. Cleanse out toxins, increase blood circulation and stimulate the immune system. Feel flawless after a spa programme fit for a sultan, with separate male, female and couples’ facilities. A treatment combining tradition and modernity. Using a unique selection of fragrant oils by Charme d’Orient, this top-to-toe indulgence will leave you in relaxation, comfort and health. Immerse yourself in a state of “sakin”, or quietness and tranquillity. Let a highly trained therapist pamper you with shea butter and organic argan oils. Step into the hammam, where steam and hot stones will release underlying tensions and prepare the skin for gentle exfoliation. Give into soothing sensations with a foam massage using fine handmade olive oil soap. Explore more Anantara Spa treatments.